Optrics can design and deliver an Aruba Mobility-Defined Networks™ for your organization that can power the new generation of tech-savvy users. This group is known as #GenMobile, and they rely on their mobile devices for every aspect of work as well as their personal communication. They stay connected to everything all the time, no matter where they are. There’s no stopping #GenMobile and soon they’ll be coming to an enterprise near you. Are you ready? The time for the all-wireless workplace has arrived. 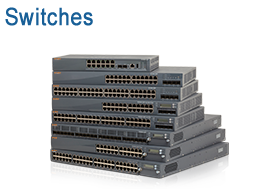 There s no reason to keep paying for expensive switch ports that no one uses, teleconference equipment that costs millions, or recurring maintenance on old telecom gear. By rightsizing these investments, you clear the way to a new reality - one that s better suited to a new generation of employees, customers, and students. Government agencies can now utilize commercial mobile devices and connect them to restricted networks using an NSA-approved security technology called Suite B cryptography. Suite B is a stronger, faster set of encryption protocols and methods which enables commercial mobile devices to be used in classified government networks - or even in unclassified networks where a stronger level of security is required. 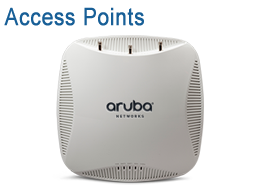 Aruba delivers unmatched Wi-Fi performance, cost-effectiveness and ease of deployment to stadiums, airports and other large public venues with high concentrations of mobile devices. 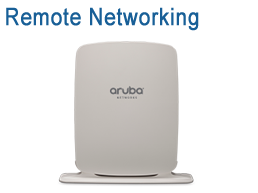 For service providers and venue owners, Aruba WLANs are essential to offloading wireless traffic from 3G/4G LTE networks and can support thousands of Wi-Fi-enabled mobile devices with no performance penalties. Venues come to life with location-aware mobile apps that provide indoor turn-by-turn navigation, context-based marketing, and a personalized guest experience. The Aruba Mobile Engagement Solution lets venues engage with their guests by offering them high-performance Wi-Fi access via a custom-branded web portal, as well as through location-aware mobile apps that deliver onsite search, indoor wayfinding and personalized push-notifications based on who they are and where they are. Mobility may be a windfall for #GenMobile but it can lead IT down a twisted, perilous path if not done right. Doing it right requires a well-planned approach that strengthens security, automates workflows, uses contextual policies, and meets compliance mandates. It s the best way to protect your network and provide an excellent mobility experience. The Aruba VBN solution provides a flexible remote access architecture that can easily be applied to the unique needs of the government sector and is fully policy compliant with various US civilian, US Department of Defense and internationally recognized validations and certifications. Government teleworkers, branch offices, travelers, contractors and even deployed military personnel can all take advantage of Aruba s secure, cost effective VBN solution. In today s workplace, users connect multiple devices simultaneously via wired and wireless. So it makes sense to unify security and management for both. That s why they call it unified access. Everyone wins with this approach IT operations are simpler because everything is centrally managed and users get a consistent experience however they connect. Organizations everywhere are cutting the cord and embracing the all-wireless workplace as deskphones go unused by today s #GenMobile workforce. Taking their place are unified communications solutions like Microsoft Lync, which lets users collaborate and conference from mobile devices and lets IT save up to $400 per user. Mobility is transforming the higher education campus. Students are more satisfied, administrators and staff work more efficiently, and faculty can instantly collaborate on research and course projects. But to achieve these outcomes and drive student success, campus users need reliable access on the mobile devices and apps they choose. 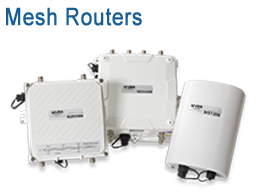 In 2014, most states will need to update their wireless LAN to support Common Core requirements. Aruba cloud-managed WLANs not only meet Common Core standards, they help transform learning. 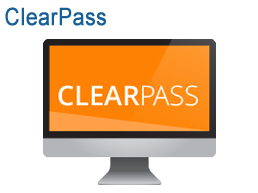 New online testing with tablets and other mobile devices, interactive learning with video, remote classrooms they all need a high-performance wireless LAN to work well. Financial services professionals in pursuit of a competitive edge are joining the growing ranks of #GenMobile to stay connected to everything all the time, wherever they are. They re banking on mobility to respond faster to changing markets, work more collaboratively with clients and peers, and make better-informed decisions by accessing data that s always available. Aruba Networks® has accredited and deployed hundreds of federally-validated and policy-compliant networks for the U.S. government and armed services. Aruba s secure mobility infrastructure and client software enable general-purpose commercial mobile devices to access networks that handle classified, sensitive but unclassified and confidential information. As hospitals evolve to meet the growing demand for personalized healthcare, IT holds the key to delivering a mobility experience that clinicians, patients and their families can rely on. Hospitals can now engage directly with patients on their Wi-Fi-enabled mobile devices during visits and clinicians, specialist and administrative staff can focus on collaborating with patients at their bedside. Guests often travel with three or more mobile devices. And when they arrive at your hospitality venue, they ll demand to connect to everything all the time, making it essential to provide a memorable guest Wi-Fi experience. Guests expect always-on Wi-Fi to find in-venue activities, access self-service apps and stream content without delay. This mobility lets you personally engage guests through smartphone apps and untether your front-desk staff so they can assist guests anywhere on your property. Shoppers enjoy getting personalized, context-relevant offers from the comfort of their Wi-Fi-enabled mobile devices. And associates can engage them, influence sales and complete transactions anywhere on the floor. Smart retailers stay ahead of the curve by adopting an in-store mobility infrastructure. One that handles PCI-compliant transactions over the air, accommodates point-of-sale, inventory and other work apps, and engages shoppers with location-aware mobile apps and personalized notification offers. Our specialists are expert in designing wireless solutions and can help you create a plan for sourcing and deploying your Aruba Networks solution. Optrics offers personalized Aruba Networks training - a service designed to help you integrate your Aruba solution smoothly into your network infrastructure.